After the state assembly yesterday adopted a resolution seeking 85 per cent reservation in admission for city students in 28 Delhi University colleges that are funded by the Delhi government, teachers and students from the varsity questioned the "politically motivated" move that affects the "fabric of the varsity". 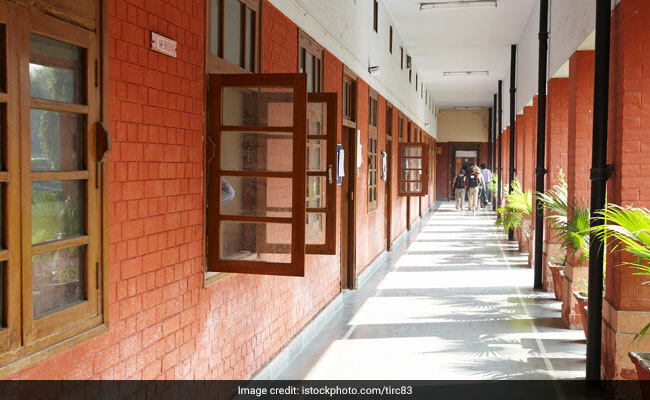 New Delhi: After the state assembly yesterday adopted a resolution seeking 85 per cent reservation in admission for city students in 28 Delhi University colleges that are funded by the Delhi government, teachers and students from the varsity questioned the "politically motivated" move that affects the "fabric of the varsity". Yesterday, Delhi Assembly also adopted another resolution demanding an amendment in the Delhi University Act (1922), according to which no other university in Delhi is legally authorised to give affiliation to any college. The Delhi University Teachers Association (DUTA) Executive today passed a unanimous resolution to oppose the proposal of the Delhi Government to reserve 85%seats for Delhi students in the 28 colleges of Delhi University in whose governance Delhi Government has a role. "Delhi University is a Central University with an All-India character, that caters to students from across the country. This facilitates a regional, ethnic and social diversity of students and faculty that enriches the learning process and fosters a spirit of national integration," said a statement from DUTA. Restricting the entry of students from outside Delhi to just 15% would impoverish these institutions and go against the character of a Central University, added the statement. A DU student from Andhra Pradesh's Krishna district, who wished to be anonymous, told Press Trust of India that domicile reservations are something which kill the idea of one of the country's top universities. "It is with the hope of getting admitted to at least one of the DU colleges that we apply for it. Students from other places have to bury such dreams if the move is implemented," the student told PTI. "Delhi University is known for its heterogeneity. This has to be respected. Earlier BJP, and now AAP have made these promises without respecting the nature of the varsity. I find it a part of regressive politics -- creating an us and them divide on the basis of regional politics," varsity Professor Abha Dev Habib said. BJP, the opposition in Delhi Assembly, too had on several occasions had held talks with Delhi University VC seeking domicile reservations, reported PTI. "Rather than taking a populist but counter-productive decision, they should use this opportunity to set an example of good governance, that these colleges have lacked for many years. This is a chance for them to demonstrate to the whole country their commitment to provide quality, affordable higher education, just like they have done for school education by bringing about impressive changes in Government schools," said DUTA statement. The assembly's resolution comes at a time the Delhi University is in the middle of the admission process this year for nearly 56,000 seats in 88 affiliated colleges. Of the 2.2 lakh students who applied for admission this year, only half were from Delhi.